A partnership between general manager and winemaker Craig Becker, a University of California Davis graduate, David Zurowsky, marketing manager with fifteen years of experience in the field of sales and marketing in the wine business and Allan Chapman. One of the three distinct brands under the Somerston Wine Co. based in St. Helena. 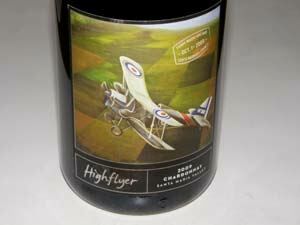 The brand is named for Becker's love of flying and includes an eclectic line-up of varietals from vineyard sites throughout California. Somerston is a 1,628-acre estate consisting of the former Priest Ranch purchased by proprietor Allan Chapman in 2004, and Elder Valley in the mountains east of Rutherford continuous to the Priest Ranch in 2006. Over 200 acres of vineyards with elevations of 820 to 2,400 feet, 87 distinct growing blocks, five soil types and over 15 varieties planted. The fruit is purchased by some of Napa Valley's most renowned winemakers including David Ramey, Heidi Barrett and David Phinney, plus a handful of well-respected wineries, including Balcom Family Cellars, Biale, Caymus, Duckhorn, Orin Swift, Pahlmeyer and Viader. 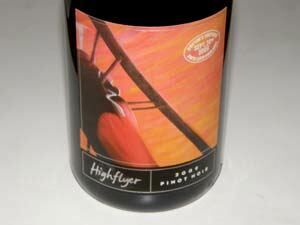 A small amount of Pinot Noir from Doctor's Vineyard in the Santa Lucia Highlands was released in 2008 under the Highflyer label. The wine is sold on the winery's website and is distributed nationwide. Annual production is 6,000 cases. Tours of Somerston Estate and tasting are offered by appointment (707-967-8414). A very unique wine experience, the front of the winery features a 1,000-square-foot tasting room and a 4,000-square-foot patio. Tastings include wines paired with a selection of cheeses, fresh charcuterie, pistachios and berries from local farms. An off-road vineyard experience is offered, which features an all-terrain vineyard tour of the Somerston Estate guided by a specialist ($50). The Somerston tasting room in Yountville at 6490 Washington Street includes food pairings, an art gallery, and a private event space. Tasting options range from $10 to $50. One of only three rooftop venues in the entire Napa Valley, Somerston features views of downtown Yountville and the greater Napa Valley beyond. The tasting room is open to visitors Tuesday through Saturday from 11:00 AM to 9:00 PM and Sunday and Monday from 12:00 PM to 8:00 PM.